Emily married Abner Abbey in 1884 in Grand Forks, N.D. Click on the "LeighLarson" link in this record for more information. Scroll further down the page for information on Emily and Abner. Emma Gilby, b.1844 d. 1936. 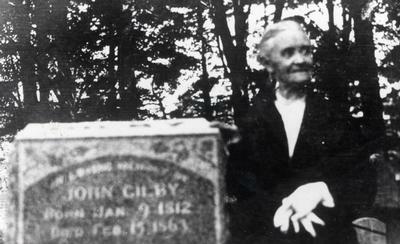 John Gilby, b. January 9, 1812 d. February 15, 1863. LeighLarson.com Information on the Gilby, Hardy and Wilson families.